I’ve never been a fan of Starbucks because i gave up drinking coffee over 10 years ago. You really don’t want to see me caffeinated. So Starbucks never really did it for me. Until Wifi and a partner who likes to go twice a day. Since my partner and i have been travelling a lot, we generally hit Starbucks first thing in the morning so he can get his double latte and i can blog and do some email. I love Starbucks, which is really saying something for a non-coffee drinker. 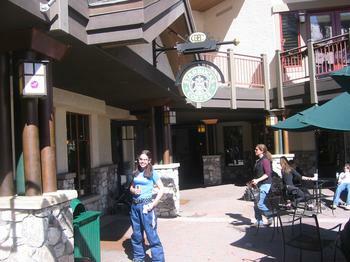 Well as Starbucks fans probably realize, the stores are everywhere, even at the base of the mountain at Beaver Creek. 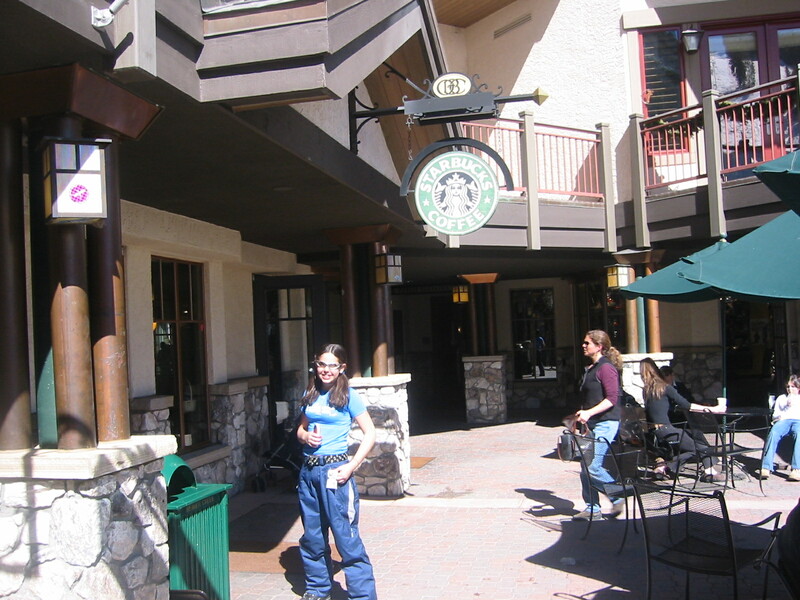 Here’s a picture of Jessica going to get a mocha before the first run. The only problem with this store is there’s no HotSpot there.